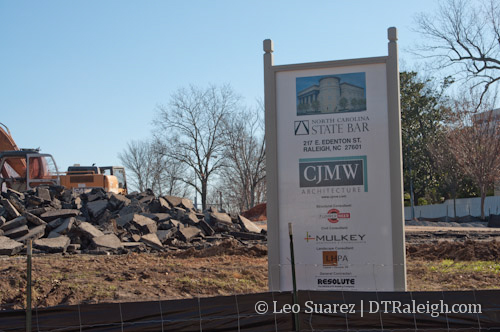 Dirt is being moved at the corner of Blount and Edenton Streets for the new headquarters of the North Carolina State Bar. The four story, 60,000 square foot building will have a classical exterior with a rotunda entrance to its lobby on the corner of the intersection. The new workplace for the Bar’s seventy-five employees will also seek a LEED silver certification. According to an old post in September of 2009, the original plans were to begin construction in 2010 with everything up and running within the first half of 2012. Clearly that did not happen but assuming a similar timeline, we can estimate construction to be complete around the end of 2013 or beginning of 2014. Corner of Blount and Edenton Streets. State owned surface parking lots will now become offices so from an urban perspective, we’re moving in the right direction. 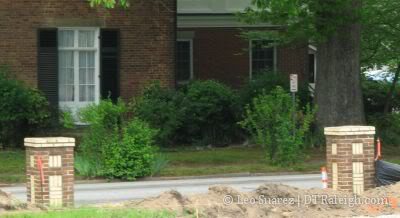 But as typical of NC State Government, their building habits seem to disrespect more of Raleigh’s history. Now let’s look a bit deeper as the site to this new State Bar Headquarters has a bit of history to it that I have been interested in over the last few years. In the 1960s and 70s, the state government went on a building spree with their complex along the former Halifax street north of the Capitol building. 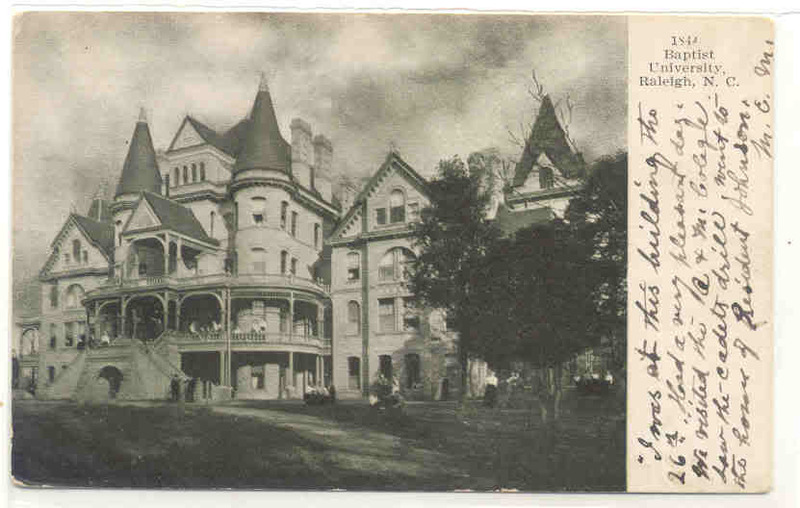 In these times, the great mansions of Blount Street were bought up with many being destroyed. The BUW building came down in 1967 but the brick pillars will stand along the sidewalk of Blount Street for another forty-four years. Sticking to its reputation of little or no historic preservation, the state government has finished off the last trace of the BUW building and now the brick pillars are no more. Drawing a blank. Is Blount and Edenton within downtown limits? What is next to this lot? It’s a block or two northeast of the museum by green square and the legislative building. Certainly a unique design compared to most new construction, and better than yet another private parking lot downtown. @ Thomas: Taxpayers? State Bars are funded by membership fees, I thought? I didn’t think they were government agencies? I figured they were buying or leasing the land from the state. But yes, this is well within downtown limits–halfway between the history museum and Oakwood Cafe. Back on topic, I like the design for the most part. Fits well with other Capital District buildings, like those around the old capital. I am happy to know another monumental building will soon occupy the site of our long lost BUW castle. However, I am very sad that the only remaining remnant of that earlier structure has been lost forever. I went up there this weekend and met a fellow urban explorer scouring the site for relics. He told me that Mrs. Haywood, who resides in the historic house across the street, had inquired as to the preservation of the brick pillars. She was rebuffed by the property owners, and the pillars were summarily destroyed. I myself did manage to salvage a few bricks. Thanks for this post Leo — good job, as always. And thanks for keeping us Raleigh folks updated on the latest happenings in our beloved downtown. Martine Marietta bidding on Vulcam Materials. HW already in Raleigh. 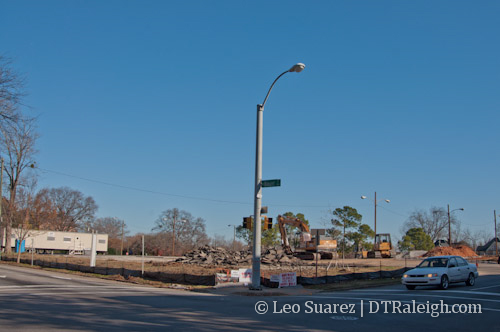 DRA or anyone trying to attract Martin Marietta Raleigh HW to downtown? First Citizen: Somebody level that ugly flower pot HQ on Six Forks Road. Are they still considering a REAL HQ downtown? Any talks with city planners of a downtown Raleigh start up hub/tower? 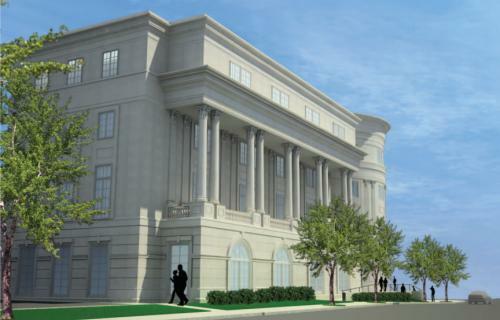 Anyone see a current rendering of the Union Station? Or is our city going to build a have a_s facility from those pathectic Dillion buildings? Glad to see a decent design, although I wish there was interest/need for something taller :( Of course, I will take that over a parking lot ANY day. Sorry for the loss of historic landmarks, but once the main structure was gone, it doesn’t matter to me what’s left. The State Government has been pretty pathetic when it comes to developing decent new buildings and respecting Raleigh’s historic fabric. We can’t save everything, but a better job could have been done here. Sooo glad this building avoided becoming some avant-garde, modernist, architectural abortion. The classical design fits well and the building properly addresses the street. The Baptist University was gorgeous though. If they’re still alive, the people that decided to knock it down should be thrown in prison or worse. Yeah, this building isn’t funded by taxpayers, they did get a sweetheart deal from the state government on the lot, but it’s paid for by the membership fees. I think it will be a good addition, especially if the other surface lot can be developed and some pedestrian attraction can be added to this building/area. I know at some point there were plans for a capitol visitors bureau on the adjacent parking lot, that was basically a park with a building on it, which wouldn’t be the end of the world, much better than its current state. This the HQ for the State Bar of North Carolina, which is a State Agency sanctioned by the General Assembly and the NC Supreme Court to regulate and license the legal profession in North Carolina. Much of its funding is through mandatory bar fees paid by attorneys. It is not the same thing as the State Bar Association, which is a voluntary bar association, and is more of a service group that provides CLEs, networking and lobbying services for the legal profession. The loss of BUW does sting to those who love historic buildings in DTR, but then again it was never there in my lifetime. Who cares about the brick posts out front. Yeah, they were a reminder but now we are moving on. Glad to see a quality structure being built that wasnt designed by jdavis or dumbass frank harmon. Yeah I’m sorry, but losing a couple piles of old bricks isn’t worth bothering over. If you are so worried about it that you have to go collect them, admit to yourself that you’re harmlessly weird and leave it at that. This is a matter of turning one of Raleigh’s many surface parking lots into something attractive and useful. Baptist University: That was a beautiful building. It should be identified who was responsible/approved the demolition of that building and list all companies and names associated with that removal project. Who were the city council members, city Mayor, wake county commisioners and who was the company that won the bid?